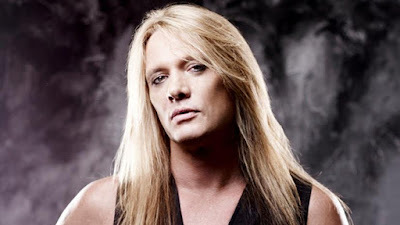 MetalRockNews: Sebastian Bach: "When I got fired from Skid Row was the worst time of my life"
Sebastian Bach: "When I got fired from Skid Row was the worst time of my life"
Sebastian Bach was recently interviewed by Silver Tiger Arden, you can read some excerpts below. About his exit from Skid Row nearly twenty years ago, Bach said: "It was horrible. The time when I got fired from Skid Row was the worst time of my life up to that point, because I couldn't believe that we had been embraced by the whole world and then we just didn't wanna do it anymore. I couldn't understand how you could make five guys' dreams come true and then just stop. That's mindblowing; it's still mindblowing to me. Yeah, that was not an easy time. I remember being in the woods at Christmas with my mom and my aunt in the snow, chopping wood for the fireplace. And I didn't have any idea what the hell I was gonna do. And my booking agency said, 'Would you like to go on the road solo for a couple of weeks?' And I never even thought of doing that. And I said, 'Okay.' And all the gigs were sold out, all the fans came. And that was '96, and I've never looked back, really, since then." About his plans for the rest of 2015 and early 2016. He said: "Well, my next task is my book called '18 And Life On Skid Row', which will be coming out, probably in March, I think. And it's a very involved, detailed process, putting together five hundred pages or whatever. It's a big task. So I have to finish that. And then I'll do another record after that. My manager's name is Rick Sales, and I'm very fortunate to have him guide my career, help my career, and he told me that after the book, we'll be going back to do a new record, so I'm excited about that."